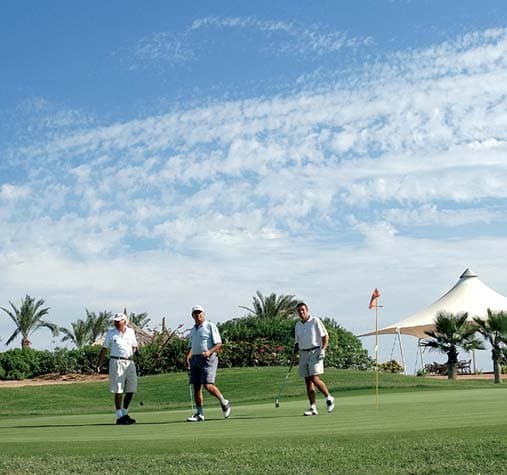 The Par 72 PGA Championship golf course (6021 m) is the number 1 Golf course in Sharm El Sheikh and one of the best Golf courses in Egypt. 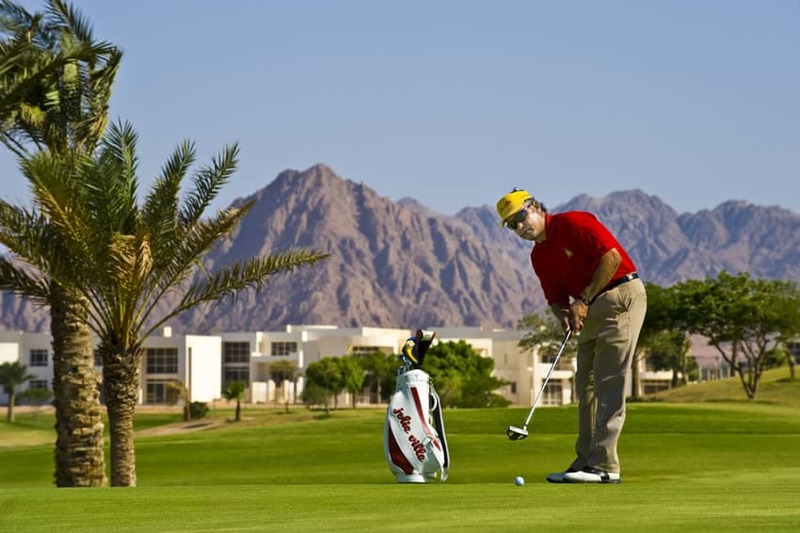 The course offers stunning views of the lush green fairways that contrast dramatically with Sinai Mountains and the crystal clear blue water of the Red Sea. 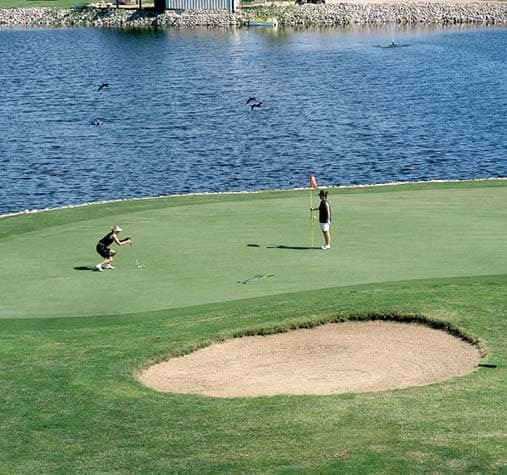 Opened in 1997 and designed by the renowned American architect Sanford & Associates, the course features Bermuda grass and 18 man-made lakes, which attract a variety of exotic birds, of which 9 kinds belong to the endangered species list. 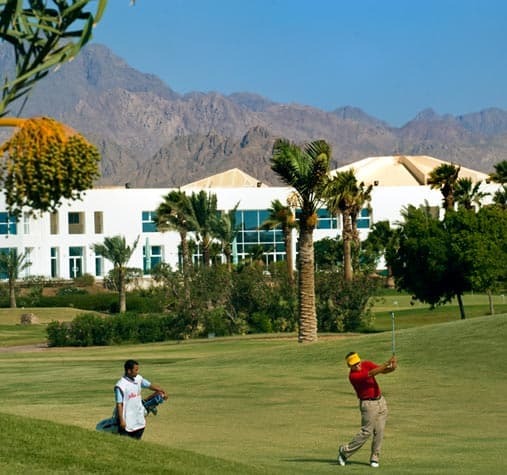 Also, 1250 exotic trees have been planted around the course, to compliment this breath-taking course such as Washingtonian palm trees, Jerusalem thorns, Date palms, California fan palms, Hong Kong Orchids and Flames of the forest. 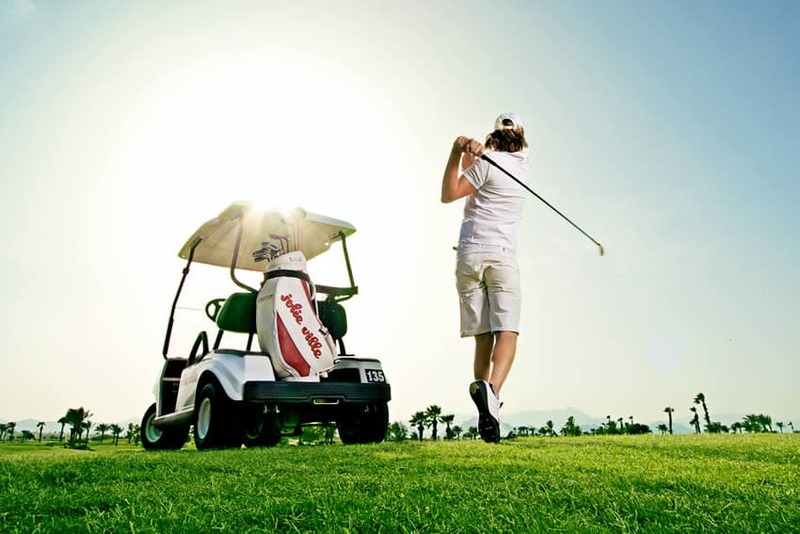 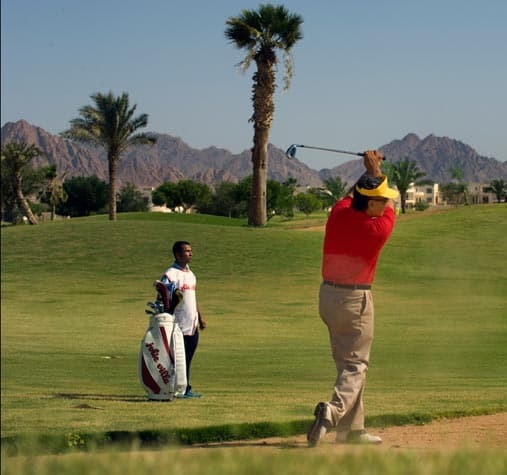 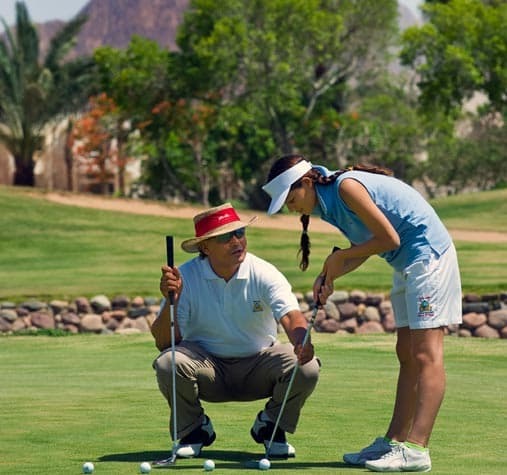 Set amongst the panoramic Sinai Mountains, there are 4 sets of tees to choose from and a double-ended practice centre, which is home to the famous Jolie Ville International Golf Academy, where you can learn the latest winning techniques. 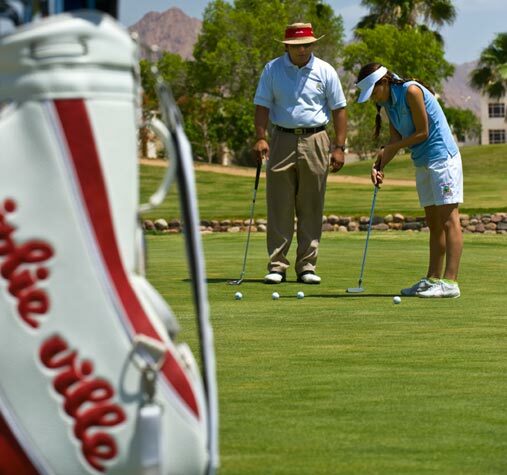 A variety of programs using the most advanced teaching methods are available for you to choose from. 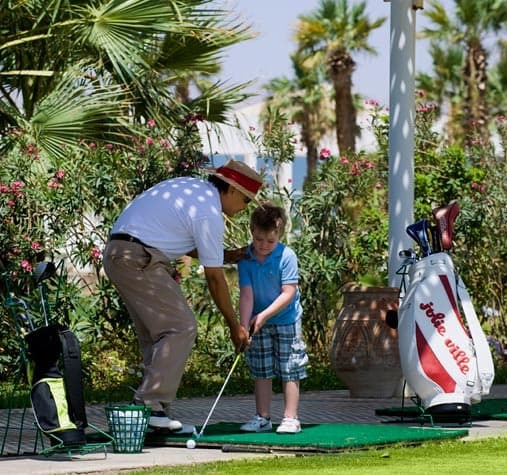 The instructors are glad to pass on their extensive knowledge and experience of the game to help you develop your skills and techniques.